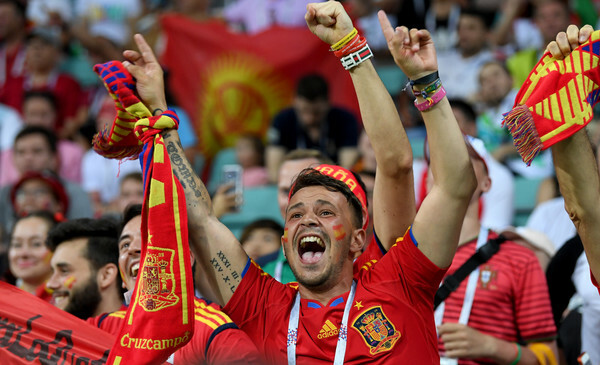 Spain – Croatia picks and betting preview from Nations League! The competition that started in this period, the League of Nations, continues to play with exciting matches. Today at 21:45 we have a gala match scheduled. There will be a duel between Spain and Croatia, which means a very strong match in the second round of the fourth group. England is also part of this group. This match is played in Liga A. The match tonight will be played at Elche. The last direct encounter between the two teams was two years ago. That match was won by Croatia with the score of 2-1. Spain starts with the first chance in this match. After being eliminated from the World Cup finals, the Spaniards now have a revenge to take. Anger Roja comes after a 2-1 win over England. That match showed us that Spain is at a very good level. The Iberians returned the score after being led by 1-0. The hosts of today’s match have scored Saul and Rodrigo. After that success, the Spaniards settled at the head of the group. Croatia has impressed everyone at the World Championship. After the disputed final in front of France, the Croats have played a single match. They played a friendly match against Portugal. The Croats lost that game with a score of 2-1. Keeping in mind that they are going to play in the League of Nations, we expect them to be more motivated in this match. Croatia has become a world football force, so we expect a strong response from them. One tip that we think is very advantageous is that both teams will be able to score. Bet now with free risk bet HERE!